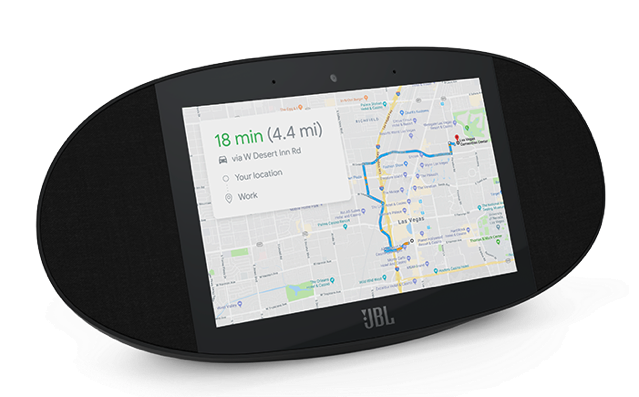 In an obvious effort to compete with Amazon’s Echo Show, Google has introduced Google Assistant-enabled smart speakers with touchscreen displays in partnership with JBL, Lenovo, LG, and Sony at the CES 2018. According to The Verge, a number of other companies with also be making Google Assistant-eabled speakers, which include big names like Bang & Olufsen, iHome and Klipsch. Google says that these ‘Smart Display’ devices, which will be available in summer, will be able to do everything you can do with a smart speaker, such as playing music and operating your connected lights, as well as let you make video calls, watch YouTube videos and look at photos, all using voice controls. “Our thinking is that over time, this is how people will interact with technology,” said Chris Turkstra, the director of Google Assistant. Google Assistant on smart displays can do a ton of the traditional assistant stuff: show you your photos and calendar, give you directions, recipes, and do video conferencing. (It just uses Duo and not another new messaging app, thank god.) That’s all great if you’re a Google services user, but third-party support is on the way, too. Check out the following video to get a better idea of how the Smart Display platform will work.